This Bearcat dead blow hammer has a head partially filled with steel shot to increase impact and reduce rebound, and a soft face that will not mark the work surface. 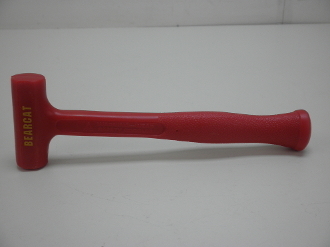 Great size for wood working and any project requiring a soft face hammer. Made of extra durable polyurethane for long lasting performance. Non-marring - no marks, no sparks.